The Commodity Futures Trading Commission and the Exchanges are imposing harsh penalties on traders who violate market conduct rules — and on the firms that employ them or facilitate their trading. Length of Course: Approximately 50-60 minutes; you may save your progress and return to the program as often as needed. What's Included: Interactive course delivered via secure LMS platform; course completion confirmation to trainee and firm; electronic record archiving; on-demand record retrieval. 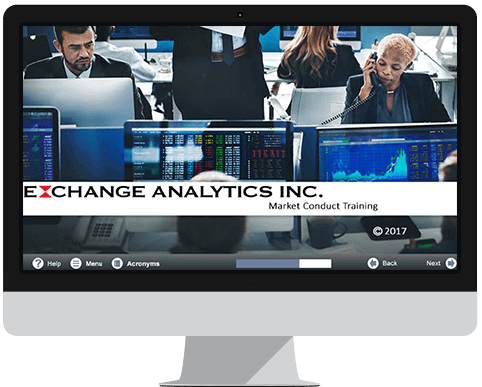 While there is no regulatory requirement for Market Conduct training, firms may view this course as a “best practice” in guarding against intentional and inadvertent trading violations by employees and customers.